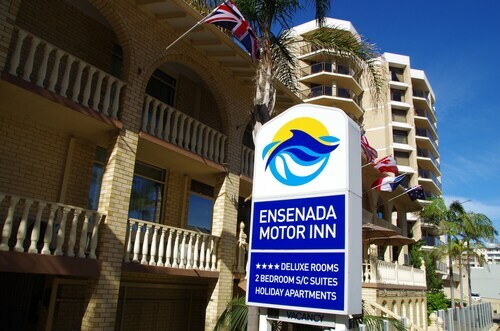 Expedia's Glenelg holiday packages help you save! Bundling your bookings will give you more cash to splash for your epic trip. As much as $200* can be saved when you book a package deal on Expedia. With us, you've got more than 400 partner airlines and 321 000 worldwide properties to pick from across the globe, which means your dream holiday is just at your fingertips! There are heaps of wonderful things you can do when you're in a new destination. 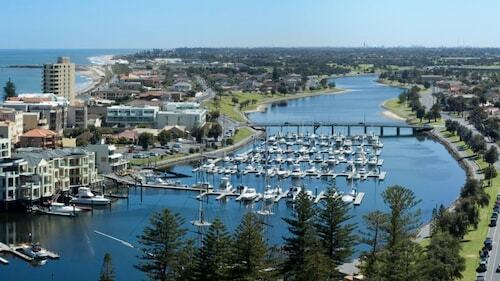 So why not get your trip to Glenelg off to a sensational start by having a look at some of our suggestions? After all – out there starts here! With its crazy lights and booming machines, The Beachhouse is a lively and colourful place to spend a day. Have a go at pinball or simply enjoy watching the kids try and choose which game to play first! There's a wonderful range of things to do in this destination. Bay Discovery Centre is an excellent resource for any questions you may have about your escape. Take some local maps and brochures and get some great tips from the cheerful staff. Still got some time on your hands? 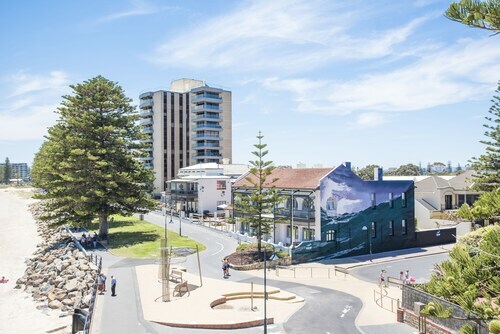 Glenelg Town Hall should be one of your first ports of call for any questions you may have about your getaway. Collect some brochures and maps and pick up some great tips from the friendly staff. The world is packed with adventure, and there are endless incredible experiences to be had when we pack our bags and head off on holiday. Got some time up your sleeve? 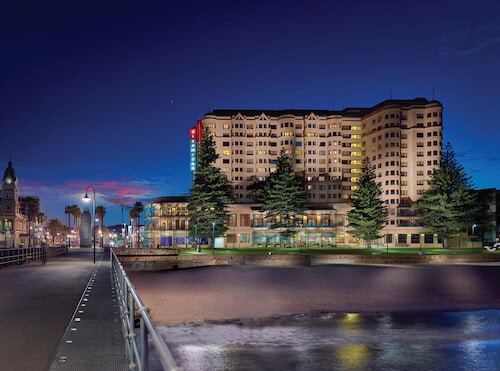 Visit our Glenelg things to do page for a full list of activities. Sometimes, hunting for a great place to stay can be tough. Luckily, that's not the case in Glenelg. Here, you can select from as many as 21 options. Expedia's the place to be for the best luxury getaways and cheap holidays. Sometimes you need a hand to find the most suitable place to stay. 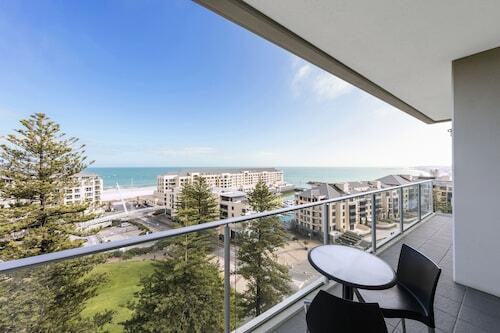 Our top picks are the Glenelg Beachside Apartments (16 & 17 Colley Terrace) and the Seawall Apartments (21-25 South Esplanade). Make yourself comfortable, listen to some tunes and binge a couple of in-flight movies. In no time you'll be arriving in Adelaide Airport (ADL)! 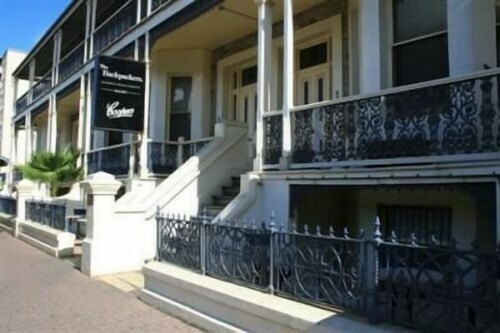 Located 3 miles (5 km) north of Glenelg, is this destination's nearest terminal. Shop, drink, dine and enjoy the sunshine in Glenelg’s leisure precinct, a scenic marina and departure point for sailboat trips and dolphin-spotting tours. Ferris wheels, water slides and fairy floss add up to hours of fun for all ages at this beachside amusement park. Iridescent blue waters surround the historic structure that juts out from one of Adelaide’s most popular beaches and into the beautiful Gulf St Vincent. This historic settlement is a thriving cultural destination, right on the beach. Friendly and helpful hosts, excellent location, comfortable apartments and a very friendly Dolphin-Fish, the cat! Property was clean and staff was ok. I am glad when I arrive after 10pm the reception still opened. Please note the reception is a pub and it closes at 10pm. It would be nice to receive with the booking confirmation instructions for check in after 10pm. Thu., 28 Nov. - Tue., 3 Dec.
Wed., 12 Jun. - Thu., 13 Jun. 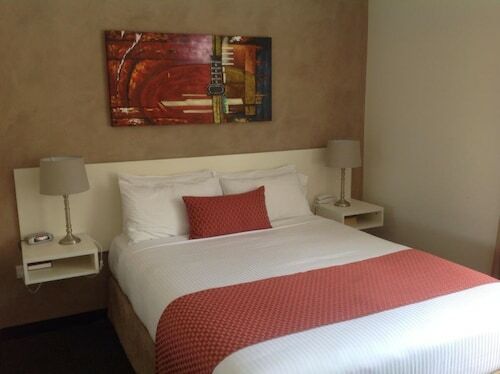 Looking for Flights, Hotels, Car Hire and Holiday Rentals in Glenelg?